Computers and Information Systems, Applied probability and optimization. Professor Freimer has teaching and research interests in applied probability and optimization. He currently utilizes some of this work in the analysis of problems in information systems and marketing. 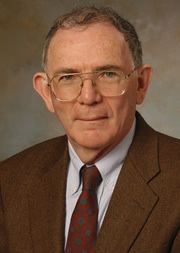 His work appears in management, engineering, economics, statistics and mathematics journals. He is co-author, with Leonard S. Simon, of the book Analytical Marketing. He has held a Ford Foundation Faculty Fellowship and has won the Simon School Superior Teaching Award. In this work we look at the effect of errors in classification of a consumer on screening equilibria. Whether the firm knows about the possibility of error makes a difference in the contracts and outcomes. We are examining the location and pricing of urgent care centers vis a vis emergency department locations. The key issue is that the while an ED is a full service acute care facility, the UC is not. The patients choose with error. We examine the effect of error on the economic equilibrium.